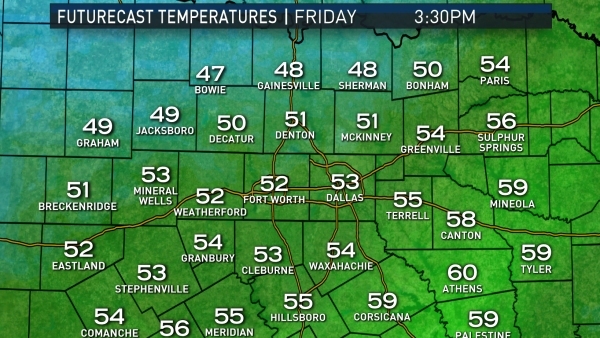 Temperatures will be on a roller-coaster ride as we finish out the work week in North Texas. Thursday high temperatures will be close to record levels in the 70s and 80s. 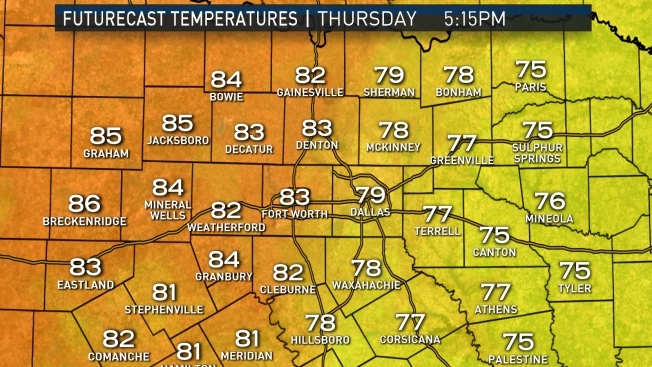 The record high temperature for Thursday at Dallas/Fort Worth International Airport is 83 degrees. However, the warmth won't last. A strong cold front arrives Friday morning with a fresh shot of cold air and a gusty north wind. Temperatures will initially fall into the 40s before rebounding Thursday afternoon into the low 50s. Rain chances will increase overnight Friday into Saturday morning, and additional rain chances are in the forecast for next week. 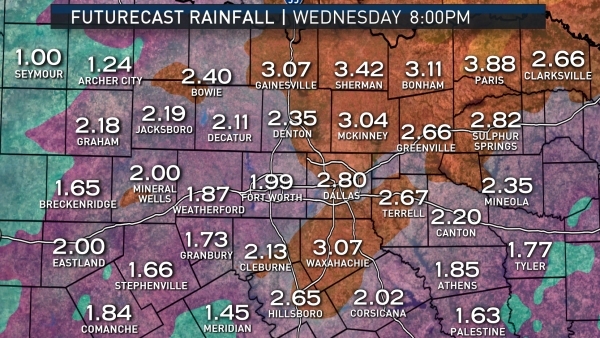 Some of our computer models are indicating one to two inches of rain in North Texas over the next seven days.